Football Read Review: The Barcelona Legacy – the story of our footballing time? Leave a Comment on Football Read Review: The Barcelona Legacy – the story of our footballing time? IS THERE a more prolific writer of quality football books than Jonathan Wilson? There are others who write a lot of books, but few that can match the depth of content, useful insights or accuracy. 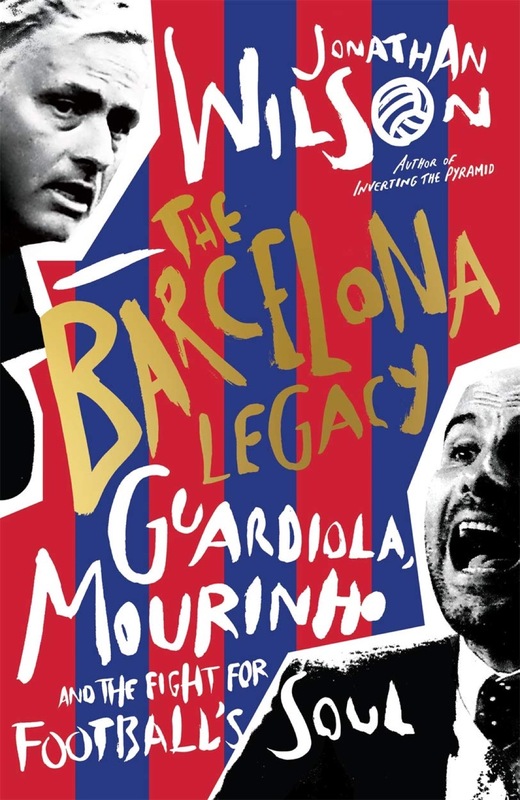 His latest tome, exploring how the current football paradigm owes its roots to Dutch football philosophy and Johan Cruyff at Barcelona, also examines the dynamic of two of the modern game’s most prominent managerial figures, Pep Guardiola and Jose Mourinho. Pep versus Jose has become something of a latter-day Clough v Revie saga, with Mourinho obsessed with outdoing Guardiola in a similar fashion to Clough’s “Damned United” persona. In fact, Mourinho emerges from the book quite negatively, an insecure figure with a track record that still draws admiration. Guardiola doesn’t come out particularly warmly, either, although his way appears to be more in tune with Cruyff than anti-hero Mou. Wilson offers neither any great plaudits, although as successful football men, they have few equals. Wilson’s writing is, as ever, superb, but there’s inevitably the voice of the tactical geek sprinkled throughout the book. That’s his obvious strength and why he has found a niche in contemporary football journalism. Another good book, another comfortable read.